What does Auckland Council do now about Kauri dieback? Home / Environment / What does Auckland Council do now about Kauri dieback? While the rahui appeared to have discouraged many visitors in the days after it was declared in early December, the findings of surveys undertaken since suggested that was no longer the case. Although figures hadn’t been collated, vehicle counts outside the park indicated a high number of visitors this summer. Of more than 1100 people approached by one council-employed kauri dieback ambassador in the week before Christmas, only a dozen chose to turn back because of the rahui. 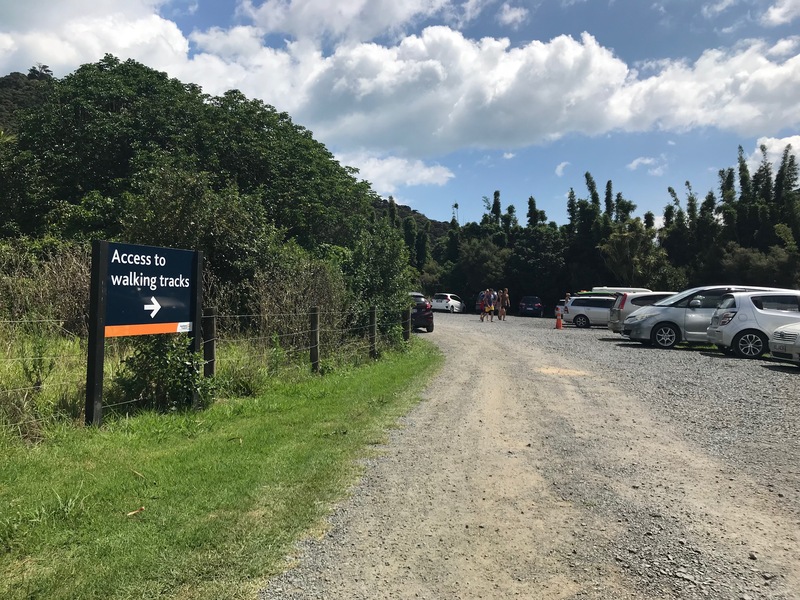 Others approached this month voiced confusion over the park being open or closed, with one woman noting a sign at the entrance advising people of the rahui. Another couple were reported as saying they knew about the rahui, but argued it was “up to the council” to close the ranges. Councillors last month considered a park-wide closure among five options, but voted to undertake targeted closures of affected tracks and areas. Many people that I know support the Rahui. But it is inevitable that unless further steps are taken by Auckland Council use of diseased tracks will continue and the disease will keep spreading. Council is due to look at the issue in a couple of weeks and to make decisions on the next steps to be taken. One of the resolutions that the Environment and Community Committee of Council passed in December was to “request staff to report to the Environment and Community Committee in February 2018 on options for stepped up track improvement and upgrades, public education, enforcement options and effectiveness, effectiveness monitoring, capital and operating costs associated with option four for consideration in the Long-term Plan 2018-28”. It will be interesting to see what the report proposes. One area that Council will have to address is the closure of further tracks. The resolutions passed by Council in December were described as being a “modified option four”. The Local Board took the position that of all of the options presented to Council option 4, the closure of all high and medium risk tracks, was the appropriate decision. This would act to protect pristine stands and also quarantine diseased areas while allowing no or low risk tracks to remain open. The quarantining of areas I believe is very important because it is clear from the maps that the disease is spreading like a cancer along the tracks. It does not matter how carefully people clean their shoes, once they walk in a diseased area the disease will then be spread along the track. Cleaning shoes does not make them immune to spreading the disease. No kauri near a diseased track will be safe. It was originally recommended to Council by staff that it adopts “option 3” which was the closure of 13 new tracks and the permanent decommissioning of a further 9 tracks as well as the continued temporary closure of 2 tracks. Since the meeting a total of 42 tracks are now closed. The recommended number in option 3 was 24. But is it enough? There are scores of medium and high risk tracks still open. I recently inspected the start of a couple of tracks to see what was happening. In Piha on Glen Esk Road there was a large number of people enjoying the walk to the nearby Kitekite falls. The track is marked as high risk. Nearby is the Maungaroa Ridge Track which is heavily diseased. But the carpark was full and clearly designated overflow parking was available. Rather than respecting the Rahui my impression is that the response to the Rahui was very underwhelming. The least Council should be doing is taking away the welcome signs. And it should be considering hard options such as closing carparks. Staff say that closing tracks such as this one will not work because people will walk them anyway. But I believe this view is misguided. They are correct that it will not deter all humans, nothing ever does. But by closing tracks and car parking areas a significant number will be deterred from walking. And reduced numbers is not a matter of failure but of success. The fewer people that walk on tracks the less likely it will be that the disease will be spread. And the positioning of the warning signs is underwhelming. The other aspect of the crisis that will need urgent attention is the provision of more resources. The long term plan decisions which Council is currently consulting on will be a very important aspect of this. A draft budget that was being worked on proposed that there be a $465 million boost to the environmental spend. A good chunk, about $100 million of that would address kauri dieback. Mayor Phil Goff has adjusted the figure down slightly in his Mayoral Proposal. He suggested that over the next ten years Council spends a further $84 million on Kauri Dieback. It was estimated that this would reduce the threat of it spreading from over 80% to about 40%. An attempt to increase this amount further was unfortunately lost at the December Finance and Performance Committee Meeting. The proposal will result in a significant increase in spending on Kauri Dieback and is welcome because of this. But I would prefer the prospects of success in stopping the spread of the disease were closer to zero than 40%. The government has toughened its stance on kauri dieback, announcing moves that would force people going into affected areas to comply with any restrictions. Councils can ask visitors to take measures like disinfecting their boots or staying away from tracks, but cannot make it compulsory. The Ministry for Primary industries said it would work to put formal controls in place. It would also start a National Pest Management strategy, giving kauri dieback the sort of biosecurity status previously awarded to the kiwifruit disease PSA or bovine tuberculosis. The ministry has previously been criticised by scientists and conservation groups for a lack of action on the disease. We are reaching crunch time for the Waitakere Ranges. Kauri is a cornerstone species of the Waitakere Forest and if they die out there will be an irrevocable change. We owe it to the Waitakere Ranges to do our best to save the King of the forest.